The carpet squares are flat gray with inexplicable mustard and maroon colored lines tossed on top. I find myself studying an assortment of feet. Do people wear different shoes to the airport? Or do they shop in odd stores on the East Coast? Or do I just rarely sit for hours watching feet shuffle by? The night before, the children wailed sorrowfully over the telephone when I called to say goodnight. They normally bear my short business trips more stoically. I had hoped to catch an earlier flight once I arrived at National to no avail. Now weather was approaching. I sent out a prayer alert to my God-sized dreaming friends and settled in to study the carpet and the feet that traversed it. While waiting, I received a request to speak at the Waldorf Astoria in Manhattan at the end of July. The offer was tantalizing, and I began to correspond with the woman inquiring as, incredibly, I didn’t have a conflict on that date. As I waited for the logistical information, I caught up on my emails. One was a blog post by my dear friend Christine about counterfeit dreams – they look like the real deal but really they take you off the course God desires for you. 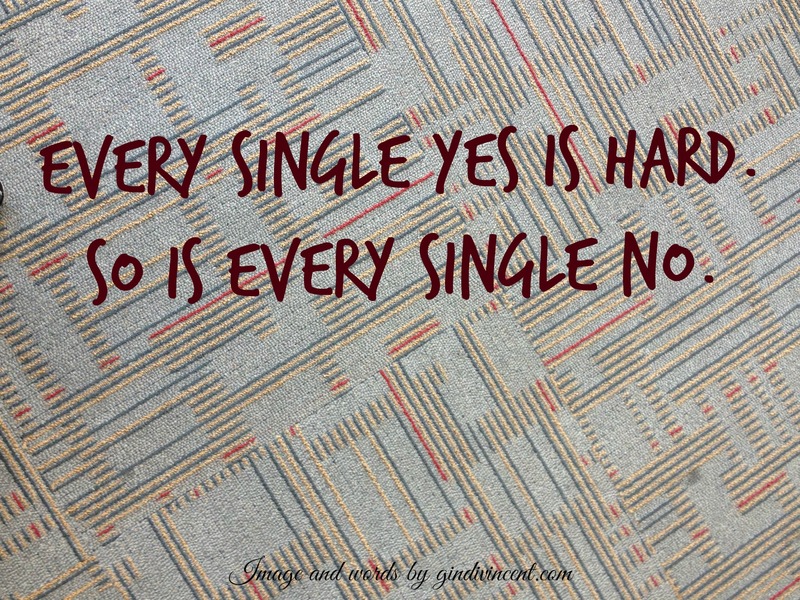 Then I read the early release first chapter of Lysa TerKeurst’s new book, The Best Yes. I misuse the two most powerful words, yes and no. I slap purpose across the face and stomp calling into the ground as I blindly live at the mercy of the requests of others that come my way each day. Every assignment feels like my assignment. In this great day where most women wave banners of authenticity about our pasts, we crouch back from honesty about our presents. We’ll tell you all about our broken places of yesterday but don’t dare admit the limitations of our today. All the while the acid of overactivity eats holes in our souls. And from those holes leaks the cry of the unfulfilled calling that never quite happened. We said yes to so much that we missed what I call our “best-yes” assignments—simply because we didn’t heed the warning of the whispers within that subtle space. Every single word rang in my ears. Was there a bigger reason I needed to be there? Was it right for my family? Did my weakness for travel or my materialistic inclination to hang out at the Waldorf or my prideful desire to be affiliated with the event shout down the still small voice saying, it’s just too much right now? There are no clear answers. There are no drawn lines. And for every decision, whether yes or no, I have human supporters and detractors of that choice. I did know, in that instant, that the Waldorf was a no. It might be a yes next year. But it could not be a yes this summer. It was a wrong choice no matter how beautiful it looked on the outside and how appealing it was to the ambitious, hotel-loving, traveling part of myself. It was wrong for my family. And me. And my job. And God wasn’t asking me to go. He was giving me an opportunity to show I am capable of restraint. So I extended a hard-fought no. Then, miraculously, as if some heavenly confirmation of my decision, I received an email about the travel funding that would have deterred me in the first place. The answer isn’t always so clear. Oftentimes it takes more communication with my family and prayer over the decision and a delay in my response time as I try to discern which way is right. And every yes or no answer isn’t monumental. In reality, this yes or no wasn’t monumental. So I am going to slow down. Watch the busy footsteps of fellow travelers a little longer instead of boarding an airplane of opportunity that could end up being an obstacle to my true course. Love your heart to hear Him and do what He is calling you to!! These hard no’s are not for naught…just you wait and see!! 🙂 Beautiful post. Thank you dear friend – yes, they are hard, but I know worth it. Fantastic post! Just what I needed to hear in this season of “fullness” in my life. Thank you Gindi for pouring your heart into your blog, you are a blessing to all of us who read. Thank you Shavonnah – yes, it’s in those most full times we have to consider where God would have us step next, thanks for your encouragement.